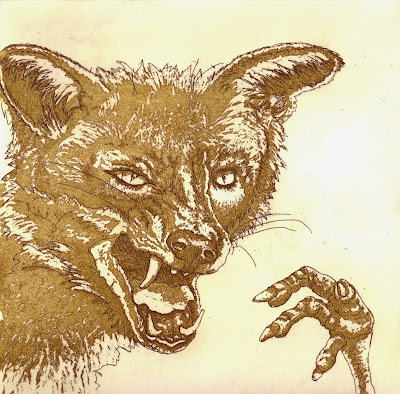 I keep thinking that this frenetic pace of life must surely slow down at some point; get such-and-such thing out of the way and it should go quiet for a bit. Who am I trying to kid. Something unexpected always crops up to throw my schedule off. This month it's been an overflowing water tank... from the loft through two sets of ceilings and three carpets. Damaged ceilings, damaged walls, sodden carpets... fun. I haven't had a chance to do anything about it yet though, apart from drying everything out of course, because the Aged Parent injured her leg severely shortly after that so after an entire weekend at Accident and Emergency (by way of a flat tyre and a new hearing aid chewed up by the cat), we've been shuttling back and forth to the surgery every few days to have the wound dressed. Now it has become infected so we have antibiotics, more frequent trips to the surgery, INR blood tests and me doing my best waitressing as the Aged P has to keep her leg up as much as possible. 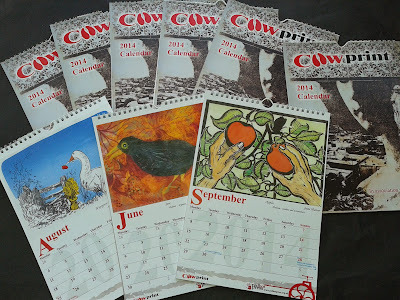 Seems like only yesterday the idea of making a Cowprint calendar was first mooted, but here they are, all printed and ready to sell; brought in on time and under budget. Get us! 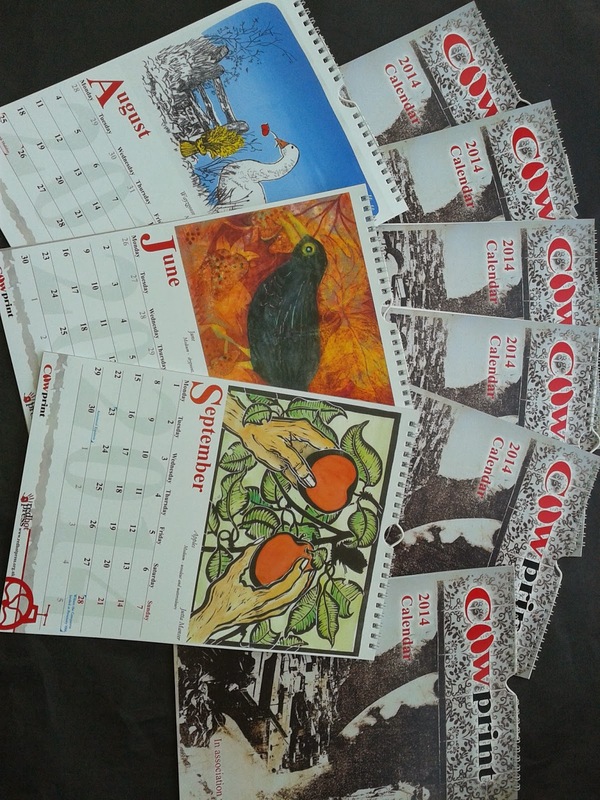 It took a lot more organising than I anticipated and I’ve had a steep learning curve when it comes to trying to sell them through other businesses but it’s all good experience and we’ll be able to factor these things in next time. 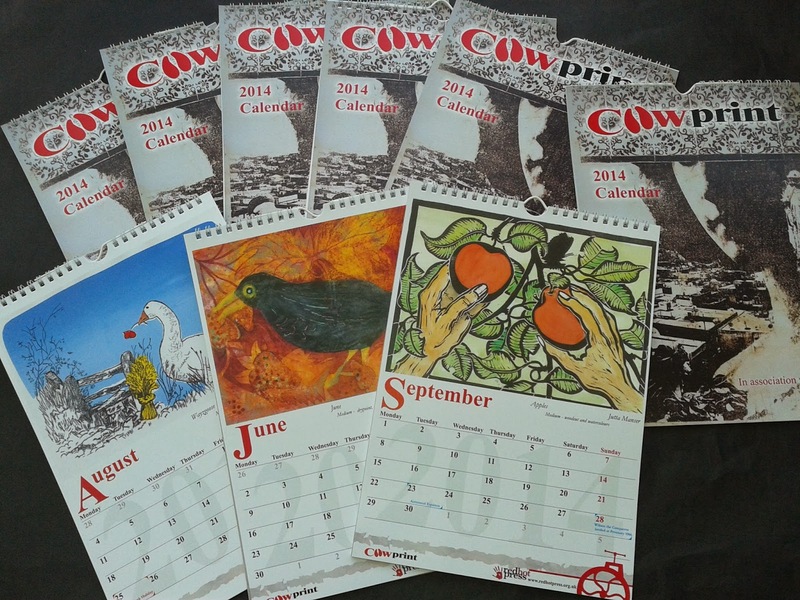 The calendars are on sale at Red Hot Press and The Art House for £7 each. 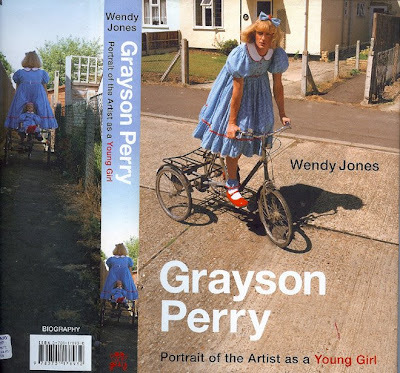 I've just finished reading Wendy Jones's biography of Grayson Perry, Portrait of the Artist as a Young Girl. It's an interesting but oddly written book; constructed in the first person as though the taped conversations, mentioned by Jones at the beginning, have been merely transcribed. I think this must be the case as the language is quite simple - not at all how Perry speaks during interviews about his work. Jones has written a couple of children's books so I wonder if it has been aimed at a younger audience... Or maybe the idea is to give the impression of a therapy session. There is certainly a confessional element to it; Perry talks at length about how his transvesticism developed and the sexual elements of it. I have great admiration for Perry as an artist (and as a person obviously) and although I found the language somewhat dull and clunky, the content of the book was interesting. It's a fairly brief insight into his early years, through art college (his description of which was so like my own experience it was disturbing) and out the other side to the pottery evening classes he attended. 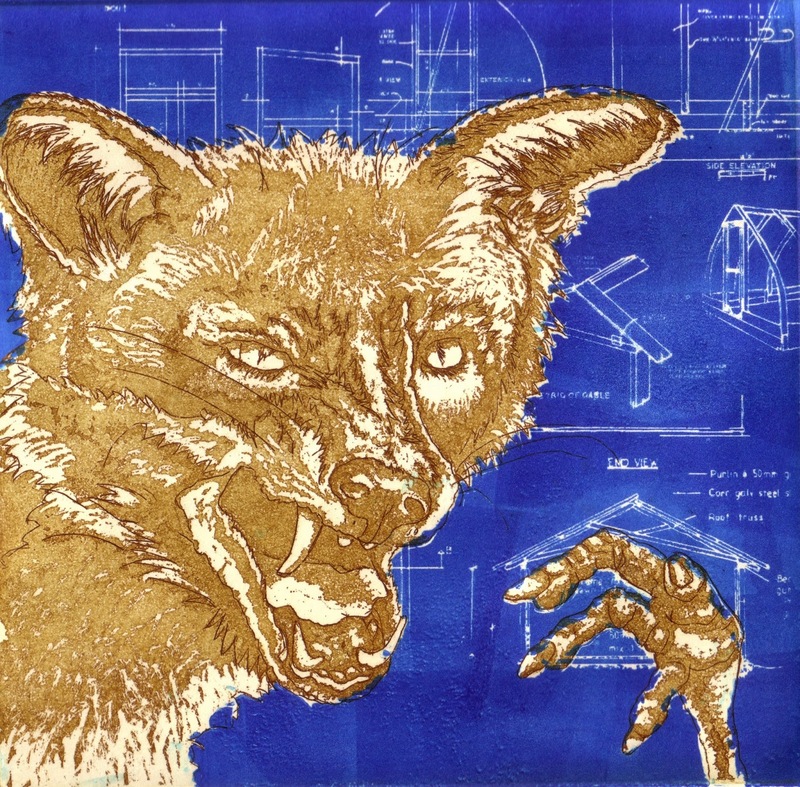 If you want to know what he thinks about art however, you won't really find it here. Listen instead to his Reith Lectures series, Playing to the Gallery, on BBC iPlayer. Brilliant, intelligent, thought-provoking and funny.